Manchester City boss Pep Guardiola has confirmed his interest in signing John Stones from Everton. The England international has been linked with a move to the Etihad Stadium for few months and now City are desperate to push through a deal for the centre-back. The Merseyside outfit are holding out for around of £50m for the 22-year-old, although Guardiola wants to add Stones and Schalke forward Leroy Sane. “Sane is a player from Schalke. If he comes, we’ll be happy. If he stays, I’ll be happy for the Schalke fans,” he said. In relation to Stones, Guardiola told his post-match press conference: “It’s the same answer for Sane — he’s a player for Everton. 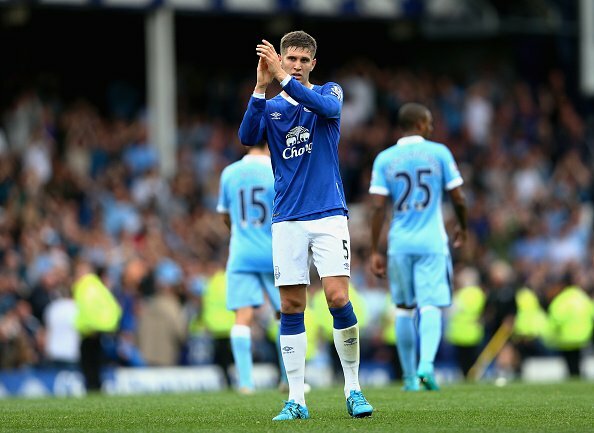 Stones has made 33 Premier League appearances for the Toffees last season.